MAP for Health was founded in 1993 as the Massachusetts Asian AIDS Prevention Project (MAAPP) to provide culturally and linguistically appropriate HIV/AIDS prevention and health services to the growing API community in the Boston area. Two years later, MAAPP was incorporated as an independent, 501(c)(3) non-profit organization to formalize our commitment to ensure HIV prevention efforts would continue to reach and benefit all members of the API community. 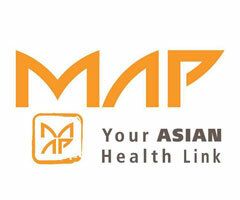 In 2003, MAAPP adopted the organization’s current operating name, MAP for Health, to better reflect the expanded scope of our mission of promoting health access for APIs. The U.S. Census Bureau announced Asians were the nation’s fastest-growing race or ethnic group in 2012. Their population rose by 530,000, or 2.9 percent, in the preceding year, to 18.9 million, according to Census Bureau annual population estimates. More than 60 percent of this growth in the Asian population came from international migration. Asian and Pacific Islanders (API) are comprised of at least 20 countries of origin and speak over 100 different languages and dialects. MAP for Health has targeted critical, underreported health concerns that uniquely and disproportionately affect the API community, including the areas of HIV/AIDS prevention, Hepatitis B awareness, and peer leadership and support for API LGBTQ youth.